As if I needed a reason to shop #shopaholic but today as I wander through the high-street I came across these beauties!!!! 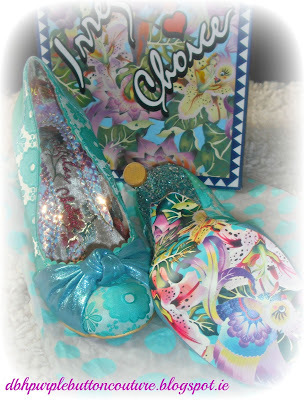 I am now the proud owner of 5 pairs of Irregular Choice shoes, that’s right I couldn’t choose so today I bought 3 pairs!!! I’ve loved the Miaow boots for the last 10 years and now I finally have them!!! Cream tick next I need the black!!! I love Irregular Choice ever since I was a teen peering at them every Saturday!!! I was just talking about them on Monday inspiring my own shoe creations!!! Read Here!!! 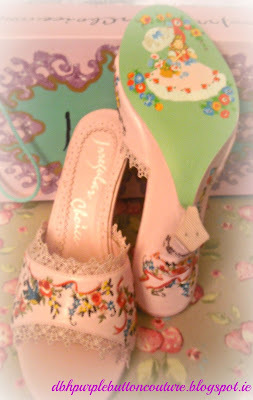 Irregular Choice shoes are more like pieces of art than shoes, so detailed. Every aspect of these creations is sooo thought through from the lining and embroidered branding to the soles, fabrics, texture, colours and contrast!!!! I got my first pair at 17 and I didn’t want to wear them, I had to protect the soles!!! See perfect, like a precious piece of art! Then 2 years ago I found these sandals, which are a bit big on the ankles but I love them!! 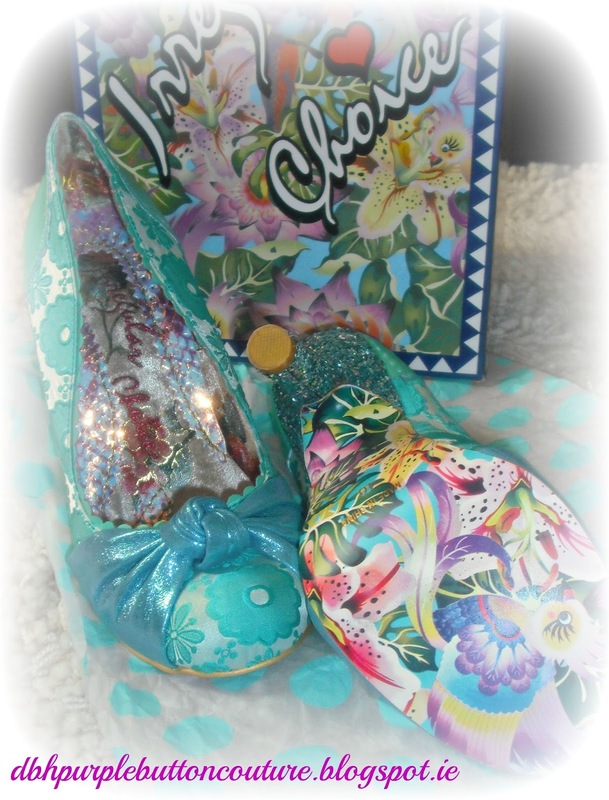 Any other Irregular Choice Addicts out there? Tell me about your collection!!! Thank you for your lovely comment!!! I'm on my way to a collection like yours!! Amazing collection, everyone should check it out!!! They are lovely! 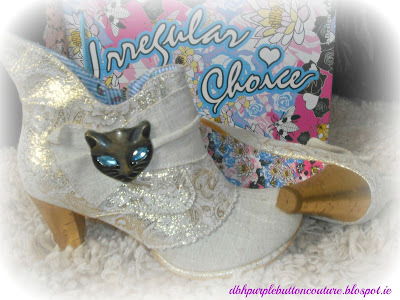 I love the Miaow boots! Yay for Irregular Choice! I own 5 pairs too but most of mine are lower as I am not so good with high heels!). I discovered a while back that I'd inadvertantly bought a pair when I was 19 in London but not realised the brand then! I gave them to my sister,sadly. Thank you! I was so happy to find these! I am so scared to wear them especially the Miaow boots I just know it will rain and they will get muddy!!! Get the squeezy bear ones, Pink Haired Princess has them in her shoe diaries (see her comment above) continue your Art Collection!! !